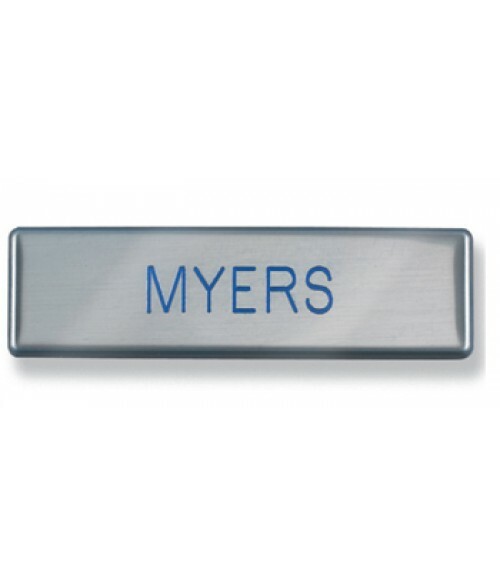 This nickle plated brass badge has a 2-piece design with a roll over edge. The clutch back is inserted with pre-applied adhesive after the badge is engraved and color filled. A rotary cutter designed for stainless steel is recommended for best results.